The Potts Cup semi-finals take place tonight (Wednesday, May 17) with two very good matches in prospect. The match at Trammondford Park between Wigtown and Newton Stewart could go close with the home side probably being slight favourites with home advantage, but the Creesiders have enjoyed a good season and are expected to make a match if it. 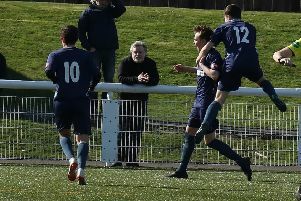 St Cuthbert Wanderers will start their match at Kirkcudbright as favourites to progress from their match against Mid Annandale but the Lockerbie side have taken some good scalps this season so far.